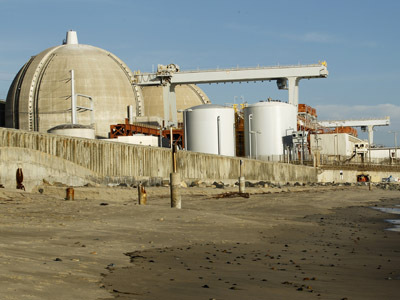 Officials at the San Onofre nuclear power plant in California are investigating why they found coolant mixed with oil in their safety equipment. Investigators are now trying to determine if the incident was an act of sabotage by an employee. 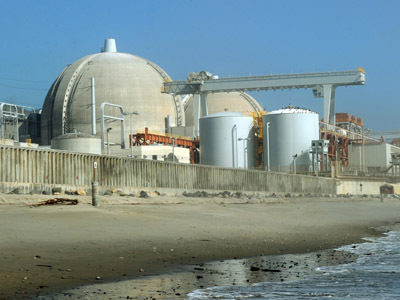 The Southern California Edison’s San Onofre nuclear power plant has often fallen under scrutiny for creating dangerous conditions that some have worried could result in California’s Fukushima. The plant was shut down over radioactive leaks in January, but has since drafted a reopening plan without undergoing a safety hearing. While the coolant was found on Oct. 30 before it caused any damage, the incident comes at a critical time for the company: Nuclear Regulatory Commission (NRC) officials are set to meet with Southern California Edison representatives Friday night to discuss the limited restarting of the plant. In order to restart, inspectors would have to deem the plant safe enough to operate. But the presence of the coolant may give some NRC officials second thoughts. The coolant was found on equipment that helps run an emergency diesel generator. 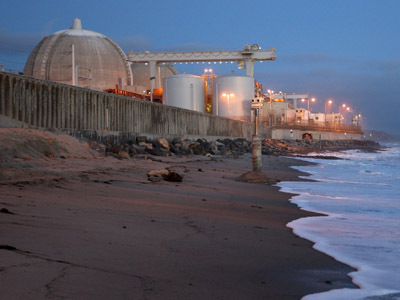 San Onofre’s diesel generator was temporarily taken offline for maintenance, but if the coolant had remained when the generators were activated, the equipment that controls the generators speed would have failed. In Fukushima, Japan, it was the failure of emergency generators that were partially the cause of the plant’s failure in 2011. 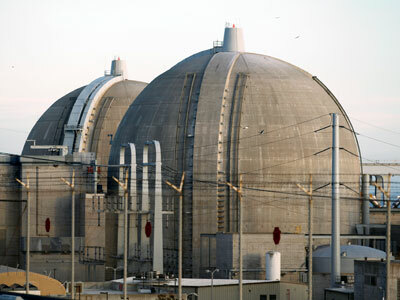 At San Onofre, the backup generator would be needed to help keep the reactor cool if power was lost at the site. Since the discovery of the potentially harmful coolant, security investigations have become much more rigorous. An employee at San Onofre told the Huffington Post that the FBI will soon take over the investigation and that there may be criminal charges involved. 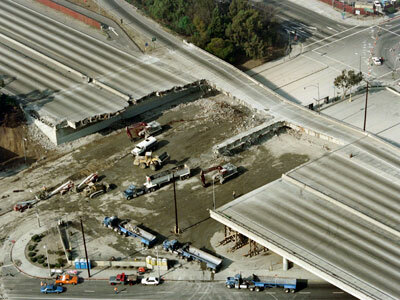 “The comprehensive investigation has included rigorous tests, a review of station logs and employee interviews to determine the cause of the presence of the residual engine coolant,” said representatives of Southern California Edison (SCE). The unit in which the coolant was found has since been de-fueled due to the security issues, angering many of the SCE customers who donated a combined $167 million to pay for the new equipment that would restart the plant. The company already has a history of security flaws, and the new incident further harms its already-bruised reputation. SCE is also being forced to lay off more than 700 employees by the end of 2012. The plant’s inactivity has so far cost $300 million in losses. An SCE employee told the Huffington Post that while the company’s employees are upset with the status quo, he finds it hard to believe that someone may have purposefully endangered peoples’ safety by tampering with the generator. 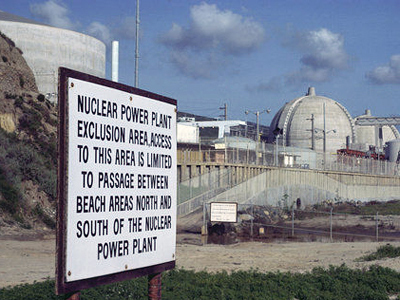 The San Onofre plant has caused more safety concerns than any other plant in the US. After radioactive leaks caused the plant to shut down in January, a number of other significant technical problems were uncovered over the following months. More than 3,400 steam generator tubes in the new steam generators were damaged, as well as another 3,400 in two other units – even though they were replaced in a $670 million overhaul in 2010. The plant has been a frequent target of environmental activists, who have protested against restarting it due to hazardous conditions they believe it could create. “If you think of it as a big tent they took the tent pole out and stuffed more tubes in there, and then their modeling was all wrong and when they turned the things on they started doing a hula hoop dance,” said David Freeman, the senior advisor of Friends of the Earth.